Did Pakistan break Geneva Convention after the capture of IAF pilot? On Tuesday, as tensions escalated along the Line of Control (LoC), Pakistani media reported that they had captured an Indian fighter pilot, Wing Commander Abhinandan Varthaman. The initial batch of videos showed him facing assault, allegedly by a group of civilians; another showed Varthaman—a bloody figure—identifying himself on camera. The latest video had him re-assuring everyone that he was being well-treated. The Central government, while not mentioning Varthaman by name, said, in a briefing, that the Air Force had lost a MiG-21 and that a fighter pilot was missing in action. They called for his safe and speedy return. "It was made clear that Pakistan would be well advised to ensure that no harm comes to the Indian defence personnel in its custody. India also expects his immediate and safe return," the MEA said. 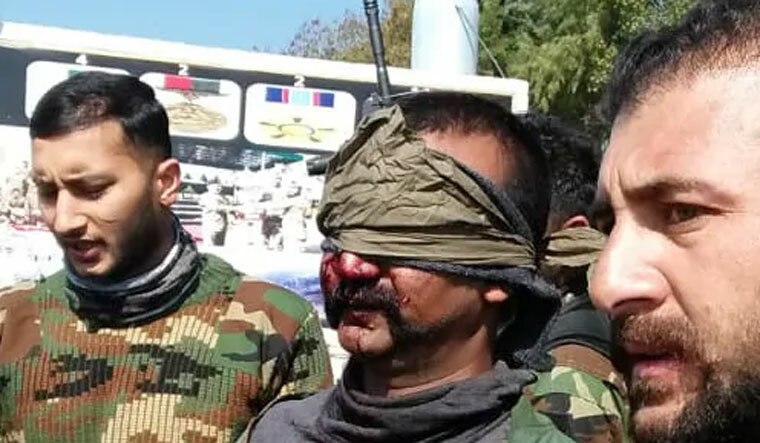 If the video shown by Pakistani government is indeed of Wing Commander Abhinandan, Pakistan is in violation of Geneva Convention's rules on prisoners of war. It's appalling to say the least. What is the Geneva Convention and what does it say? A set of international treaties which were updated in the immediate aftermath of the Second World War, they dictate rules for humane treatment of those captured amid conflict. Article 13 goes: Any unlawful act or omission by the Detaining Power causing death or seriously endangering the health of a prisoner of war in its custody is prohibited, and will be regarded as a serious breach of the present Convention. In particular, no prisoner of war may be subjected to physical mutilation or to medical or scientific experiments of any kind which are not justified by the medical, dental or hospital treatment of the prisoner concerned and carried out in his interest. Likewise, prisoners of war must at all times be protected, particularly against acts of violence or intimidation and against insults and public curiosity. The videos of Varthaman first emerged on an unverified YouTube channel. If the footage is not falsified, it could provide ammunition for the Centre to corner Pakistan for the parades and "public curiosity" clause. An earlier high-profile case related to the breach of the Geneva Convention is the incident involving Captain Saurabh Kalia, who was captured and allegedly tortured by the Pakistan at the heights of Kargil War. The Pakistan Army later handed over the mangled remains to India at the end of the conflict, triggering massive outrage.